A day that many classic horror fans have been awaiting for decades has finally arrived—every Universal Monster movie is finally coming to Blu-ray in a single box set. This foundational collection of classic monster movies arrives at the end of August, fittingly in time for Halloween. The collection of 30 films includes pretty much every monster-adjacent film in the Universal collection produced between Dracula in 1931 and The Creature Walks Among Us in 1956, which is generally seen as the end of the cycle. Included are all the classics you would expect, such as entries in the Frankenstein, Invisible Man and Wolf Man series, along with some lesser-known films such as Invisible Agent and She-Wolf of London. Also included are the classic Abbott and Costello films of the late ‘40s and early ‘50s, starting with the classic Abbott and Costello Meet Frankenstein. In fact, the only notable film missing is the 1925 silent Universal version of The Phantom of the Opera, which starred Lon Chaney Sr. as what was perhaps the first “Universal Monster,” the Phantom. However, given that this film is in the public domain, it’s not too hard to come by. Of course, you’re going to pay a hefty price tag for a collection of 30 new Blu-rays—in this case, the set is currently priced at $150. Pricey, but a must-have for the Universal horror completist. You can already pre-order the box set on Amazon ahead of its Aug. 28 release date. Bonus features for the set include a 48-page collectible book, plus various bonus features and behind-the-scenes documentaries on various films. Also included: The much-lauded Spanish language version of Dracula and featurettes on actors and key figures such as Boris Karloff, Bela Lugosi, Lon Chaney Jr. and makeup artist Jack Pierce, who created famous costume makeup for Frankenstein’s Monster and The Wolf Man. 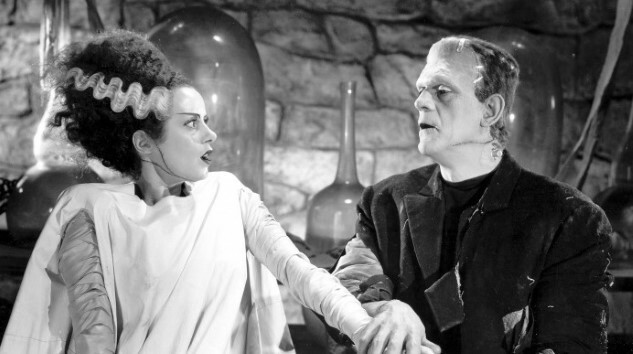 Of course, it’s difficult to watch these classic films today without being reminded of Universal’s ongoing attempt to reboot the characters in its shared “Dark Universe.” Last summer’s The Mummy was a critical and box office failure, which put planned adaptations of Bride of Frankenstein and The Invisible Man on hold. It’s unknown if and when those films will re-materialize, but at least we’ll have this massive box set of classic monster movies if they never do.